You've all heard of bird walks and birding trails. 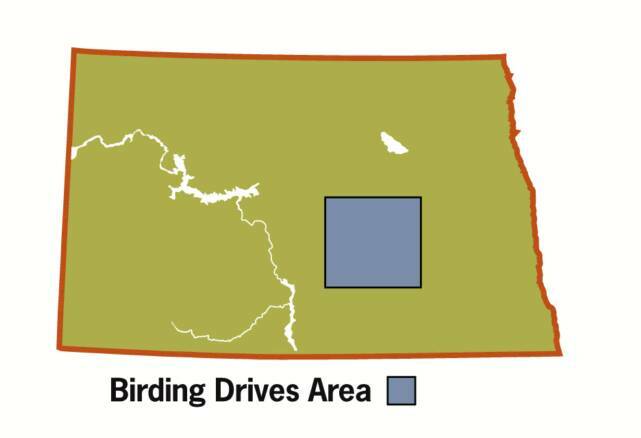 But this is pothole country in North Dakota, where the refuges and prairies are so expansive the birding resources call for drives rather than walks! Birding Drives Dakota has recruited top professionals to design six drives that will take you off the beaten track to the best birding in the world. Our professionals are biologists and ornithologists who have birded the back country and refuges of North Dakota all their lives. They, along with expert graphic artists, have designed full-color booklets that lay out in detail our birding trails. Our booklets contain guided maps of three birding drives that take you from the communities and back again. 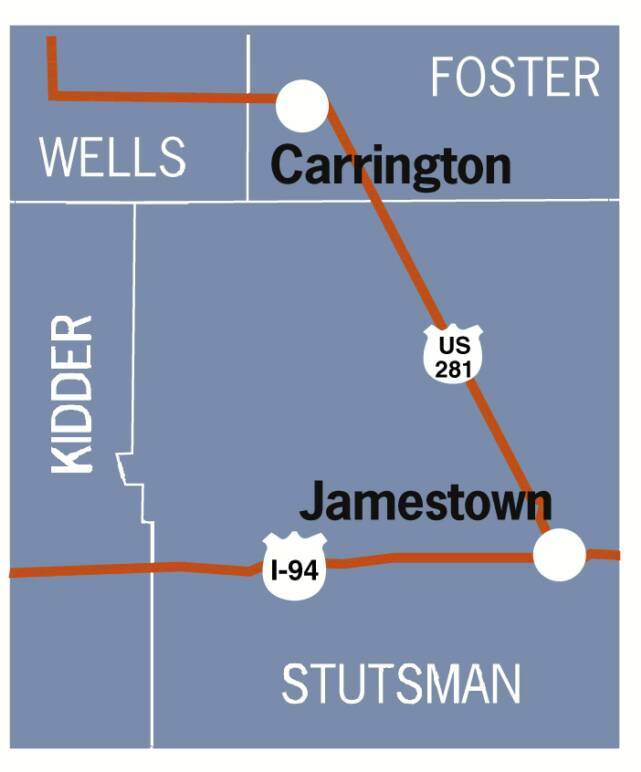 About our maps: the starting directions for each route refer to an easily found location, usually a highway intersection. We have indicated what direction a given turn is, which will be useful if you happen to be following the route backwards. Where possible, we have referred to mileposts along major roadways. When following site directions, be aware that auto odometers vary. Do not be surprised if you are off a tenth or two at times! We’ve teamed up with birdJam to create a playlist specifically for our festival. Click here to download it now, then bring your birdJam iPod to North Dakota for instant field reference! See the map of all six drives! Order our free map booklet! The kiosk, highlighting the birding trails, was installed April 23, 2014, in the Chieftain Conference Center, Carrington, ND.